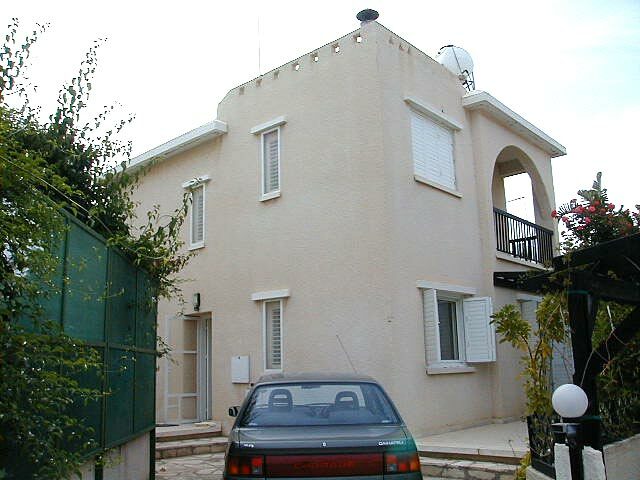 A two storey, three bedroom detached house with a well established garden on a quiet complex in Protaras. 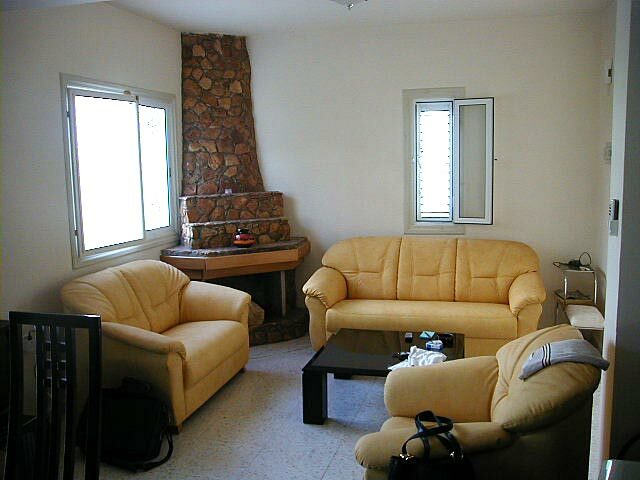 There are 3 bedrooms (2 doubles and one twin) one with a balcony facing the sea. 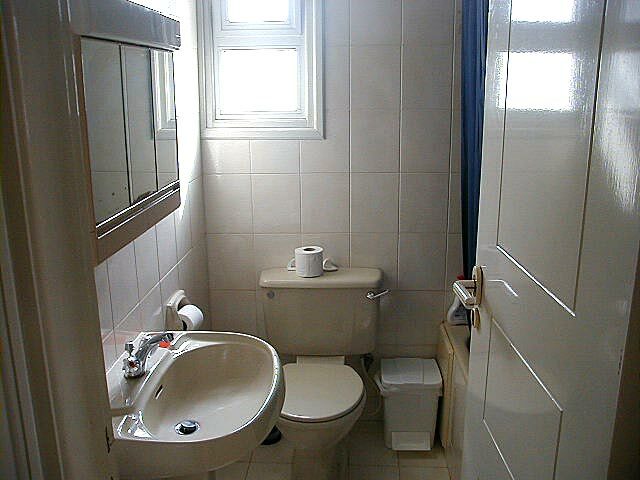 There is a bathroom on the first floor and a guest toilet on the ground floor. There are ceiling fans in the bedrooms with anti-mosquito nets on the doors and windows. 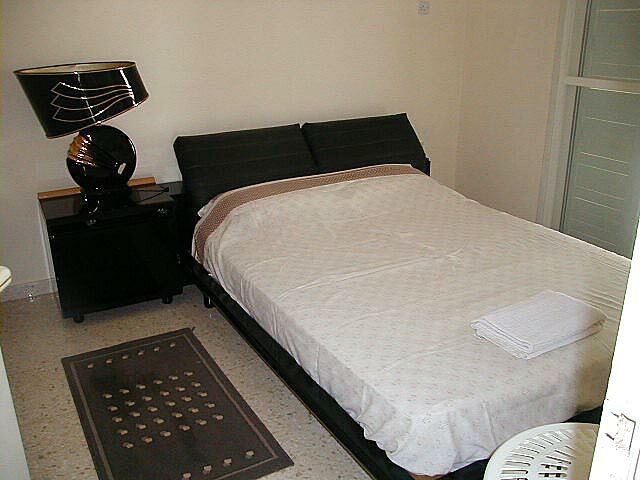 There are Air-conditioning units in two of the bedrooms and in the living room. 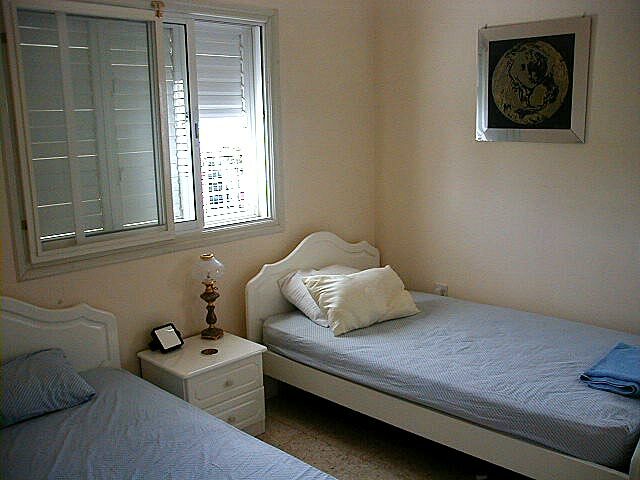 The third bedroom is very breezy as it backs on to the hills without any obstructions. The living room/dining room has a fire place, TV, CD, casette, radio system and a separate kitchen. 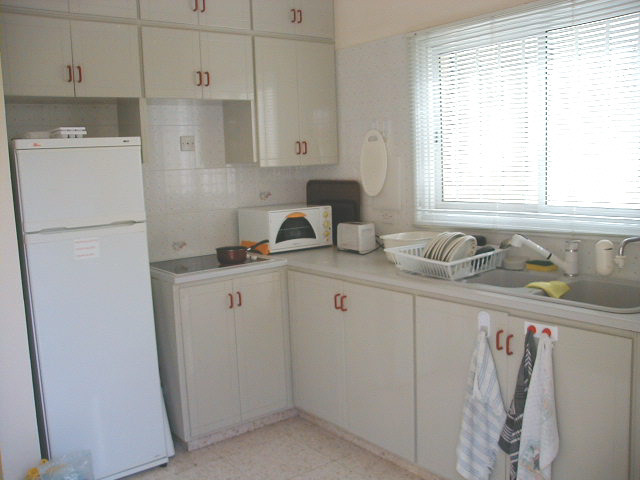 The kitchen is fully equipped including a washing machine. A microwave oven can be supplied on request. There are ceiling fans in the living room with Anti-mosquito nets on the doors and windows. 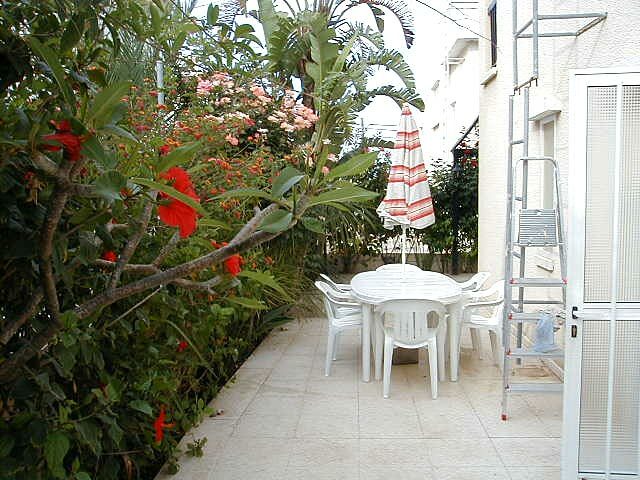 There is a built in BBQ in the garden, also an outdoor shower and private parking. 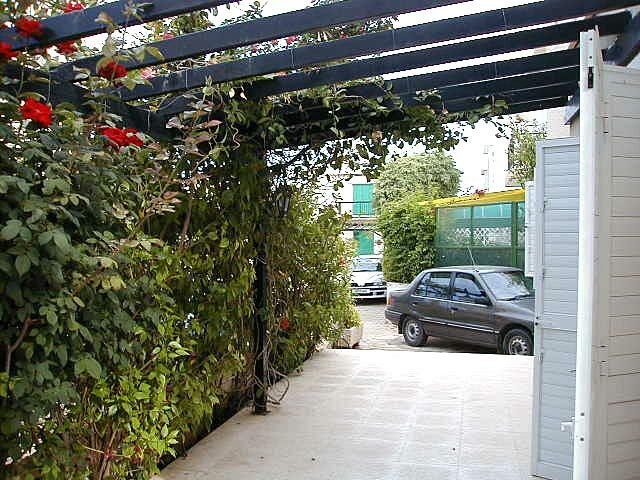 Delightful garden all around, self-watered with paved patio, providing discreet privacy. DISTANCES 300m from the sea. EURO 855 per month for 1 year + rental. 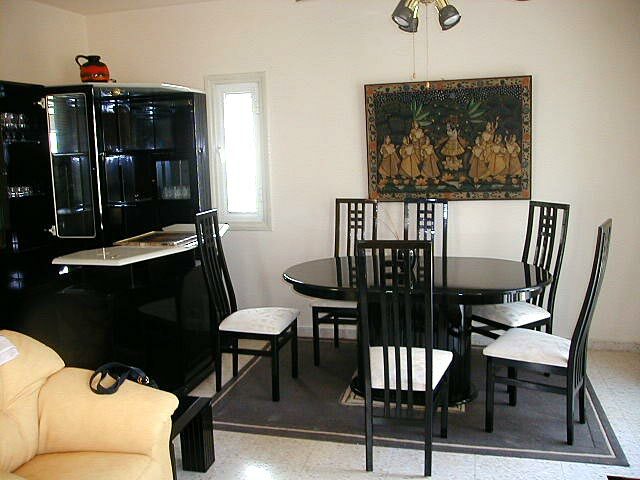 Rental only to families - No singles or persons under 25 yrs. Extra EUR4.5 per day per unit.